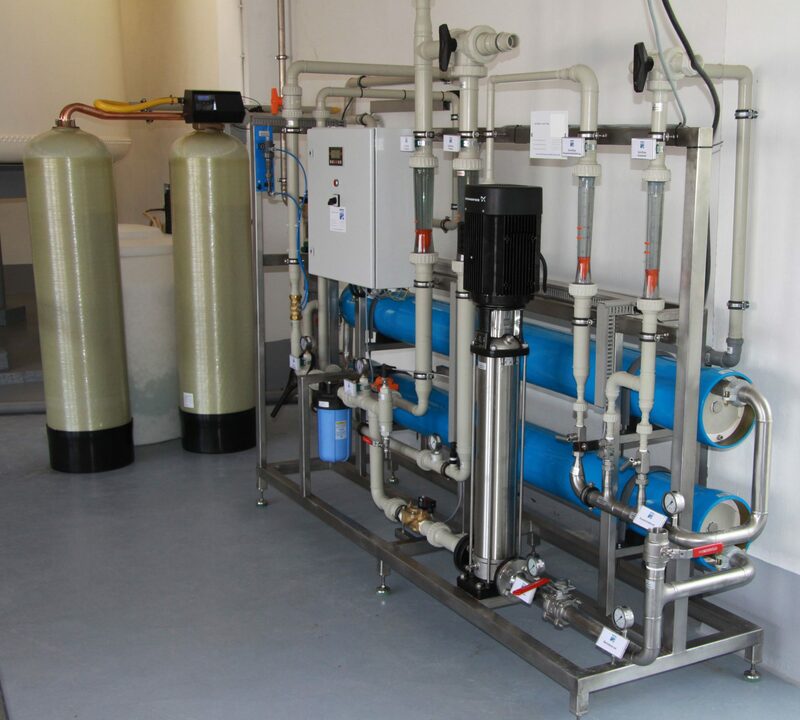 We plan and deliver customized water treatment plants. Depending on requirements we also use turnkey container solutions, which fit very well especially for customers in industry, the hotel sector, local authorities or even aid organizations. Reverse osmosis systems, eg. for well water or pure and ultrapure water treatment for hospitals, laboratories, etc. Ultra and nanofiltration systems, eg. for the removal of turbidity, pathogens. This patented technology uses physical forces in the form of cavitation and negative pressure to destroy bacteria and germs efficiently and without the use of chemicals. The molecular structure of the water is also changed and the surface tension decreases. This method is therefore ideal for cleaning and disinfecting process and cooling water systems in industrial and commercial enterprises with water volumes of up to 51 m3/h. The MHP process also complies with the stringent VDI 2047-2 guideline for the hygiene-compliant operation of evaporative cooling systems. The Watersprint-D4® is a water treatment for drinking water systems, which removes waterborne bacteria and viruses (Legionella, E.coli, etc.) by UV radiation based on LED technology. 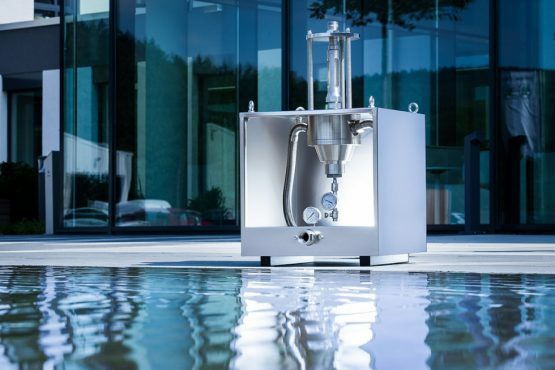 The automatic backwash filter OPTIFIL® works on the principle of surface, depth, or cake filtration and filters out particles and turbidity mechanically from liquid media. Depending on the application, woven or nonwoven fabric made of stainless steel, which retains the particles on the surface, is used as filter material. 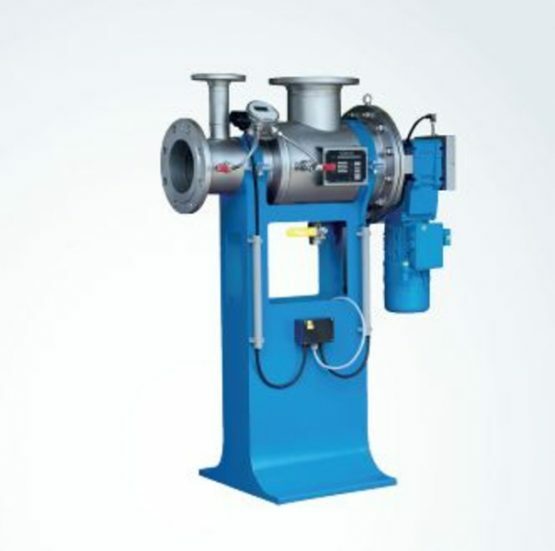 If a certain degree of coverage of the filter surface is reached, the automatic backflushing process begins with a small amount of the filtered medium. The special backwash device cleans the filter material without interrupting filtration. For water cooperatives, industry, trade, hotel industry and much more. Individual solutions for individual tasks! We offer tailor-made reverse osmosis systems with a pure water output of up to 100m3/h. Depending on the quality of the raw water, we also supply the appropriate pre-treatment, such as descaling or antiscalant. 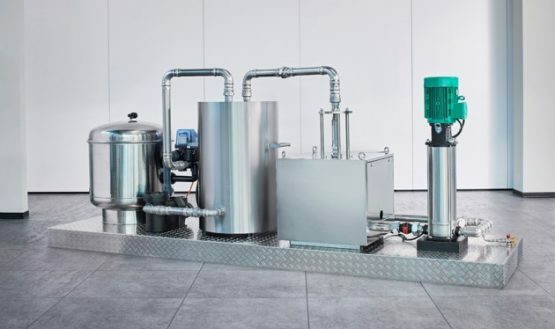 If required, we also supply solutions for after-treatment, such as sterilization, mixed-bed ion exchanger, electrodeionization, degassing and much more. 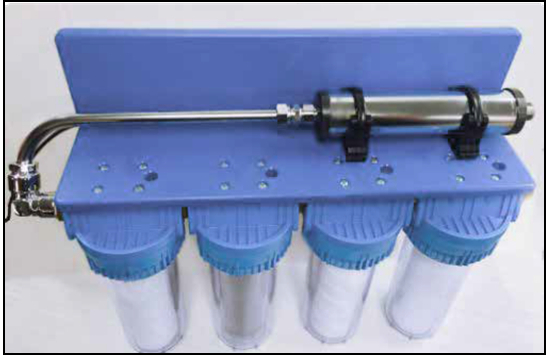 Conductivity and temperature measurement and much more. Thus we offer ideal solutions for gastronomy and hotel industry, commercial and industrial companies! We deliver our extensive know-how and plan your plant. We take over the implementation including delivery and installation with our partners. If necessary, we also take care of the maintenance and operation of the system.